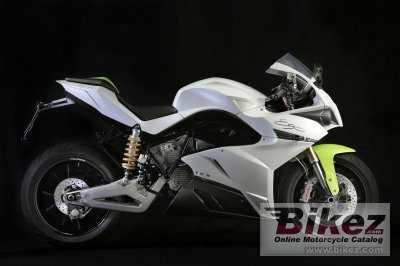 2014 eCRP Energica Ego. Picture credits - eCRP. Submit more pictures. The world�s first all-electric superbike bred from the heartland of Italian racing legend. The Energica EGO. Designed and built by the same people who have designed and engineered racing performance from Formula One Racing to Le Mans 24h for over 40 years. Frame type: Tubulat trellis. Aluminium alloy swin arm. Comments: Italian brand. Small windshield. 11.7 kWh battery. Range 150-190 km. Ask questions Join the 14 eCRP Energica Ego discussion group or the general eCRP discussion group.